When is the Last Day to File Taxes in 2019? What to Do if You Forgot? The last day to file taxes in 2019 is April 15th, 2019. 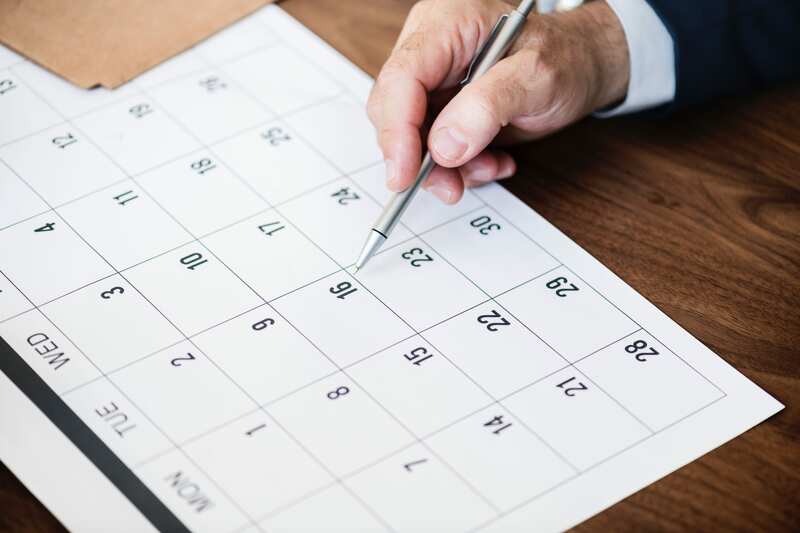 Tax day, the tax deadline, always falls on the 15th of April unless that day happens to be a Saturday, Sunday or legal holiday then it’s moved to the next business day. For example, in 2018, the tax deadline was April 17th thanks to a holiday (Emancipation Day). If it’s currently April 15th and you haven’t filed your taxes yet. Don’t panic. There are a bunch of online methods to file your taxes on the same day. Some post offices actually stay open later on Tax Day. But beware, you should check what the hours for your local post office are before assuming that they have extended hours. Post offices are seeing less and less foot-traffic on Tax Day thanks to online tax software. You can use the following online software to file your taxes on the last day. TurboTax – Is one of the most well-known and highest-ranking tax filing software. The free version allows you to file a 1040EZ or 1040A. H&R Block – The free version of H&R Block allows you to file a 1040EZ, 1040A or 1040 with a Schedule A. But if you’re filing anything more complicated (including a Schedule C-EZ) than you’ll have to upgrade to the premium version. TaxACT – The free version of TaxACT allows you to file a 1040EZ. Anything more complicated will require a paid version. However, TaxACT is significantly cheaper than both H&R Block and TurboTax. There’s a no-frills design about it though, which may turn off some people. FreeTaxUSA – Unlike the other three options, you can file most tax situations in the free version of FreeTaxUSA. The premium versions are all about more support, rather than more features. If you’re considered low-income (in this, if you made under $66,000 in 2018), you can file your taxes online completely free. So what happens if you miss the deadline? First off, it’s always best to file your taxes on time. Even if you can’t pay. The penalty for not filing your taxes is worse than the penalty for not paying your taxes. The penalty for not filing your taxes is different if you didn’t file at all and owe taxes, filed but didn’t make payment in time, or didn’t file and are owed a refund. If you didn’t file your taxes and owe taxes the tax penalty is 5% of the tax owed each month up to 25%. You should also file your late tax return as soon as possible. Most people can do so using one of the free options at IRS Free File or by using one of the online tax software mentioned in the above section. If you filed your taxes on time but can’t pay your taxes than the penalty is 0.5% of the tax owed each month up to a maximum of 25%. As you can see, you should always file your taxes, even if you know you can’t afford to pay. The penalty for not paying is a lot less than the penalty for not filing. If you can’t file by April 15th, then you should file for an extension. If you do owe money and have to make a payment, you can send a check to the IRS in the mail. However, some people prefer to pay the IRS directly online at IRS Direct Pay. More information about the tax penalties for not filing or not making a payment can be found on IRS Topic 653. Q: When is tax season for 2019? The tax season in 2019 is from January 1 to April 15. The tax season just refers to the time period when taxpayers, like you and me, can file our taxes. Q: When can I file my taxes in 2019? For 2019, you can file your taxes anytime between January 1st and April 15th (i.e. the tax season). Q: What happens when I miss the tax deadline? The first thing you need to do is to file an extension using Form 4868 which will extend your tax filing deadline to October (6 months). That can save you up to 5% per month on any balance unpaid. Q: Can I go to jail for not paying my taxes? Here’s the thing. You could be put in jail for tax fraud or tax evasion. While the IRS doesn’t often press criminal charges, it does happen. You cannot, however, be put in jail for filing your taxes and not being able to pay them. That’s why it’s always best to file your tax returns. If any of these deadlines change for whatever reason, this page will be updated. So just to recap, the tax filing deadline for 2019 (2018 Tax Year) is April 15th, 2019. You can still file your taxes on the last day. There is a penalty for not filling and/or not paying the amount you owe.